In this review we feature the best Audio-Technica headphones that provide superb audio quality and a comfortable listening experience. These headphones have been designed with powerful acoustic drivers to deliver crystal clear highs, detailed midranges and deep bass performance. They are perfect for audiophiles or studio engineers who want to pick up every single detail in the music and listen to an extended frequency range. These headphones feature a circumaural design with lush and soft ear padding for a comfortable listening experience. We have carefully tested each Audio-Technica headphone to determine which ones provide the best value and performance, so be sure to check out our top picks below! The ATH-M50x are some of the best Audio-Technica headphones designed for professional studio monitoring with audiophile sound quality for maximum transparency. They are equipped with very large 45 mm drivers which have been built using rare earth magnets and copper-clad aluminium wire voice coils. This driver design is proprietary to Audio-Technica and is the main reason for the excellent performance in sound reproduction. In terms of sound performance, these headphones have an extended frequency range and produce sound with a deep and accurate bass response. The circumaural design completely envelops the ear and alongside the closed back design, and offers great sound isolation abilities which make the headphones excellent at being used in noisy environments. The M50x are comfortable to wear and adjust to the head-shape of the user. We liked the fact that the ATH-M50x headphones have 90° swivelling earcups which make them highly adaptable, enabling them to be used with one ear only. The padded headband and earcups make the headphone very comfortable, enabling users to use them for long periods of time without suffering from discomfort. The headphones connect using a 3.5mm or 6.3 mm TRS cable which can be detached from the headphone for easy store and transportation. 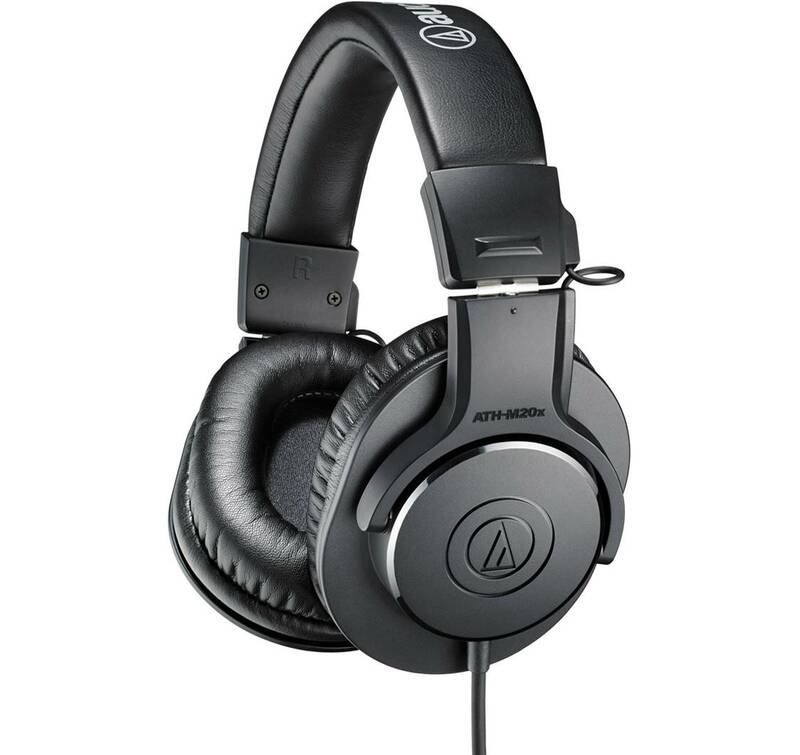 The Audio-Technica ATH-M30x are some of the best Audio-Technica headphones which have been designed for audio professionals focusing on high quality sound production. The 40 mm drivers are built with rare earth magnets and copper-clad aluminium voice coils to produce a powerful, transparent sound which respond quickly to transients and deliver clear, focused audio. The ATH-M30x headphones have excellent mid-range definition and allow the user to listen to the fine details in their music. They have a closed back, circumaural design which ensures e focused listening experience which is not overly exhausting. They perform very well at isolating the sound, both from the outside, blocking out environmental noises, and from the inside, minimizing spill. The headphones are specifically tuned for enhanced detail, with excellent mid-range definition. The ATH-M30x are a suitable choice for those who need professional-level audio on the go or in places with many environmental sounds. They connect using a 3.5 mm TRS jack which can be converted to a 6.3mm jack using an adaptor. The headphones are collapsible, making them easy to store and to transport safely, lowering the risk of damage. 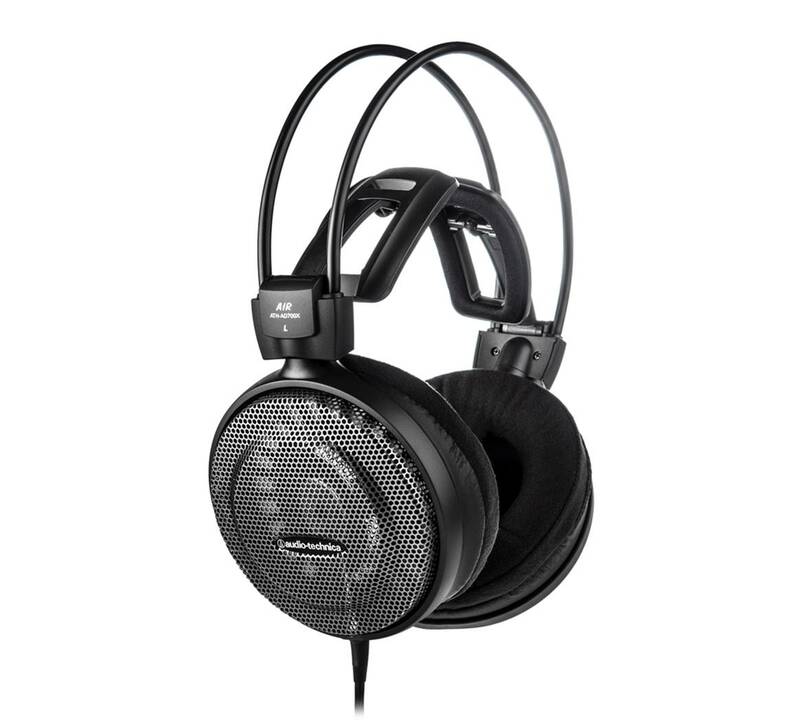 The headphones come with a 3.0m (9.8”) single-sided cable exit which makes them easier to operate. 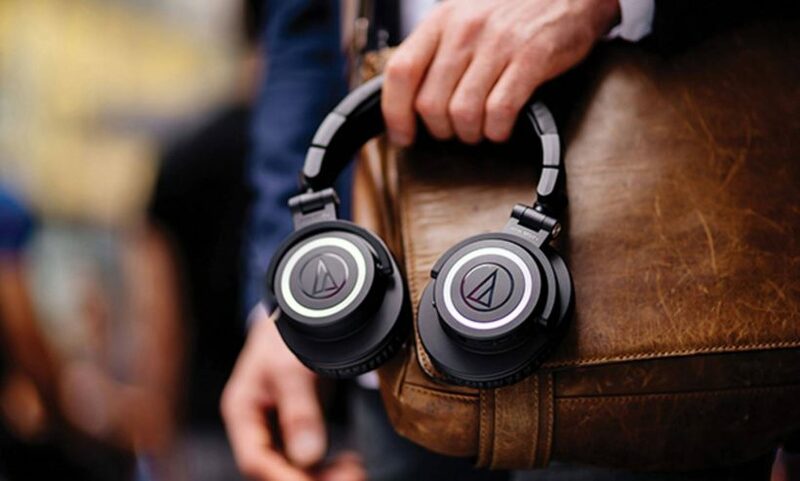 The Audio-Technica ATH-M40x offers high quality audio for professionals and audiophiles, while maintaining a comfortable design. They have a stylish-modern looking design which reflects the high build quality and robust construction. They are equipped with 40mm drivers which are built using rare earth magnets and copper-clad aluminium wire voice coils which produce clear sound that responds very quickly to transients. The circumaural, closed back design ensures that the reproduced sound is focused and precise, while creating a good level of noise insulation, both from the outside and from the inside. The ATH-M40x can block out sounds from the inside, allowing the user to focus solely on the music while minimizing distractions. At the same time, the headphones produce little spill, making this pair ideal for use in public spaces. The earcups can swivel up to 90-degrees, making the headphone adjustable for any kind of situation, including one-ear monitoring. The ATH-M40x are comfortable due to the padded and adjustable earcups and headband, allowing the user to have long lasting listening experience without experiencing discomfort. The headphones also feature a removable cable for easy transportation and storage. Overall, these are some of the best Audio-Technica headphones for studio monitoring and we highly recommend them. 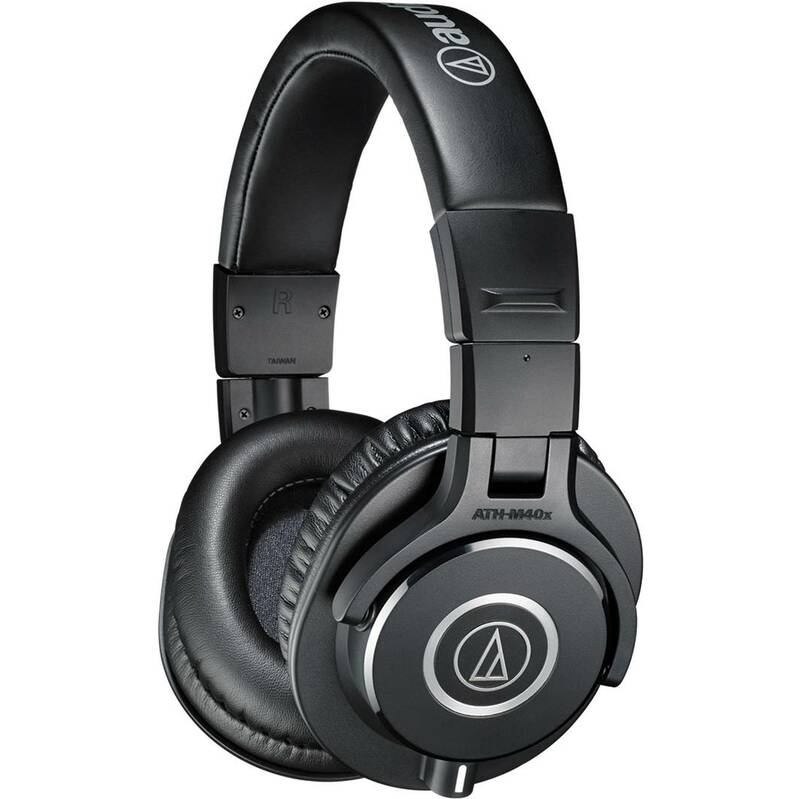 The Audio-Technica ATH-AD700X.are are some of the best Audio-Technica headphones which have been engineered to render transparent and responsive sound suitable for studio usage. They have very large 53mm drivers which help with the reproduction of clear treble and midrange while maintaining a fast transient response for sudden changes. The have bobbin-wound copper clad aluminium wire voice coils which handle power very efficiently. The ATH-AD700X headphones feature an open back design allows sound to travel both ways from the driver and thus reducing pressure on the eardrums and eliminating listening fatigue. The sound is perceived as natural and users will be able to enjoy a sense of spaciousness and easily peaceable sound sources across the stereo spectrum. The lightweight aluminium honeycomb casing provides good protection for minimal sound coloration and low weight. Furthermore, the AD700X headphones are very comfortable to wear and feature a self-adjusting 3D Wing Support, padded earcups and headband. Those features enable the user to wear the headphones for long periods of time without feeling discomfort. The headphone’s connectivity is wired, having a 3.5mm TRS connector which can be adapted to a 6.3mm connector for usage with studio equipment. 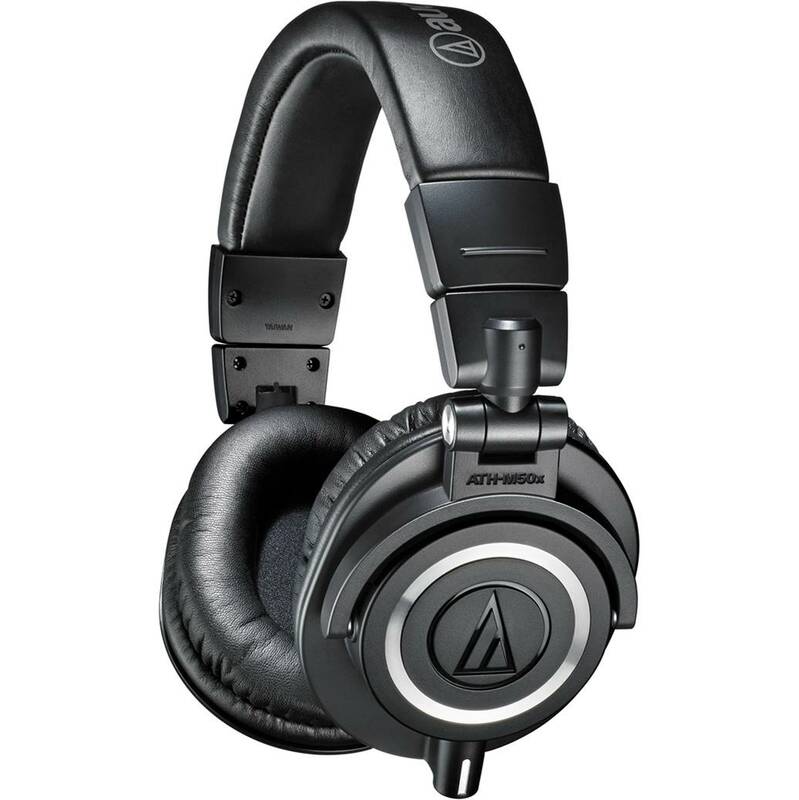 The Audio-Technica ATH-M20x are some of the best Audio-Technica headphones you can find on a budget. They are intended for studio use due to their superior sound monitoring capabilities which can pick up details in the music with enhanced low-frequency performance. Their closed back design performs very well at blocking out external sound, allowing the user to concentrate solely on the audio coming from the headphones, and also prevent any spill from the headphones to the outside world. The ATH-M20x headphones produce high quality sound using large, 40mm drivers which contain rare neodymium magnets and feature copper coils aluminium wire voice coils. This setup allows the M20x to produce clear audio with a very fast transient response, creating a high fidelity rendition of the sound. The headphones also feature a very good bass response as the design was tuned for low-end frequency enhancement. They feature a wired connection using a 3.5 mm TRS jack which can be adapted to a 6.3 mm for usage with professional equipment. The headphones have a single-side exit cable which makes them easy to manoeuvre and wear. The design of the M20x is comfortable, having adjustable and padded earcups and headband, enabling users to have long listening sessions free of discomfort. 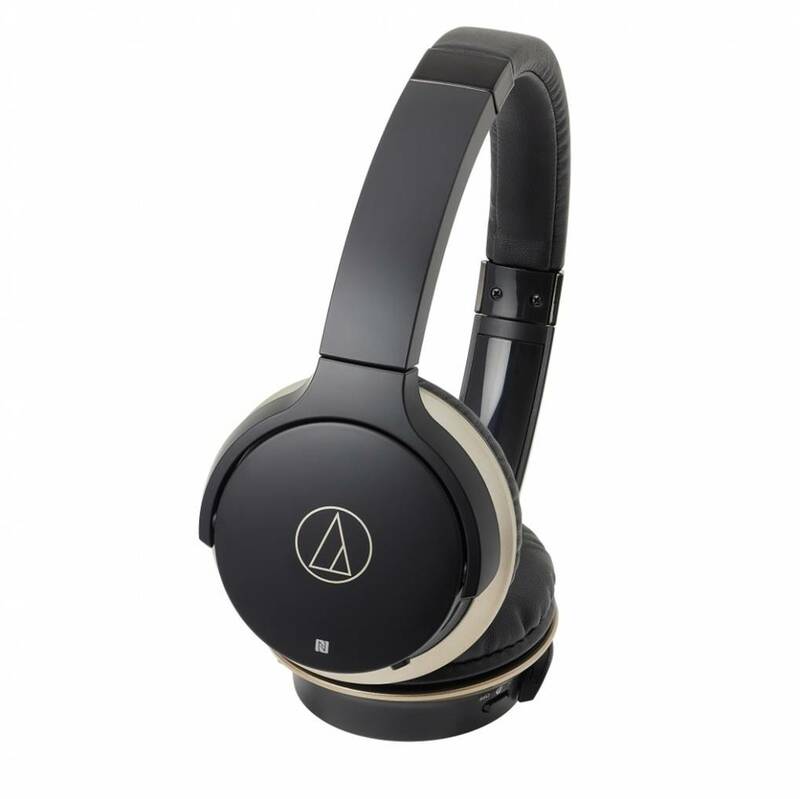 The Audio-Technica ATH-AR3BTBK SonicFuel are a pair of wireless headphones which focus on delivering the highest audio quality while keeping high levels of convenience and ease-of-use. They are compatible with all Bluetooth-enabled devices, establishing reliable wireless connections, and also have a Near Field Communication functionality for pairing with devices with a simple touch. One distinguishable feature of the AR3BTBK is the built-in controller in the earcup that allows for easy volume and microphone control. The SonicFuel have an impressive battery life of 30 hours of playtime, and up to 1,000 hours on standby from a single full charge. They are both comfortable, with soft earpads and an adjustable padded headband. The headphones are portable, having a foldable design that allows them to be stored and transported easily. The impressive sonic quality is given by the newly designed 40 mm drivers, which give very good responses across the frequency spectrum, having clear mid and high frequency responses and a powerful bass. The headphones also support aptX and AAC codecs which render very high quality audio transmitted wirelessly. Overall, the ATH-AR3BTBK are some of the best Audio-Technica headphones we have tested with full wireless functionality and we highly recommend them. 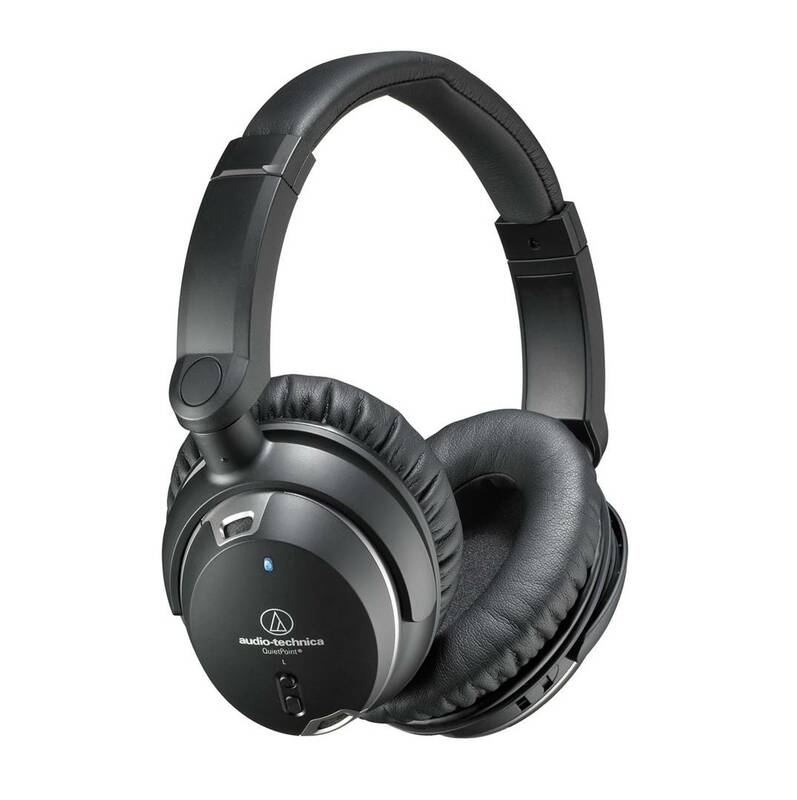 The ATH-ANC7B QuietPoint by Audio-Technica are a pair of professional-level headphones which have been designed to incorporate a high-quality noise cancelling functionality. The QuitePoint’s noise cancelling circuitry performs very well, reducing the perceived environmental sound by up to 90%. This feature is further enhanced by the closed back design which acts as a natural sound barrier, reducing the amplitude of incoming sound by a considerable amount. These headphones are very comfortable to wear and are lightweight and compact, making them great for portability and travel. The ANC7B headphones produce high quality audio by using 40 mm drivers equipped with neodymium magnets, creating a clear response across the whole frequency spectrum and maintaining the integrity of transients. The QuietPoint are lightweight, compact and can be folded flat, making them ideal for travelling or storing. In addition, the headphones are comfortable to wear having padded and adjustable earcups and headband. They have a wired connectivity, using a 3.5 mm TRS connector which can be adapted to 6.3 mm using the accessories provided. In order for the noise cancelling functionality to operate, 2 AAA batteries are required. However, only using the wired connectivity is enough to use the headphones as a normal pair of headphones. Overall, the ANC7B are some of the best Audio-Technica headphones designed with superb noise cancellation and come with a generously cushioned padding for added comfort over the ears. 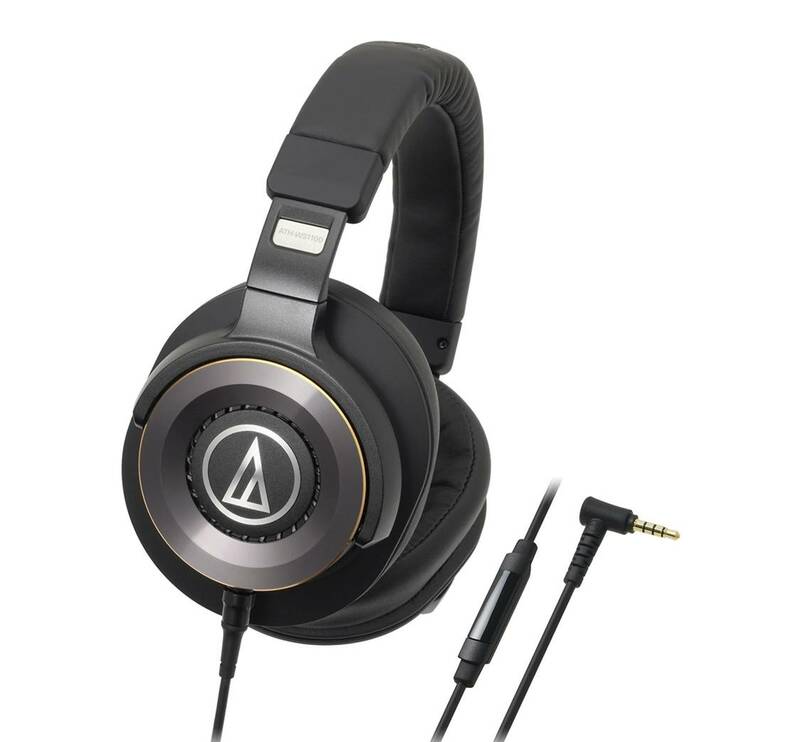 The Audio-Technica ATH-ANC9 QuietPoint are some of the best Audio-Technica headphones with very well-implemented noise cancelling abilities which can enhance a listener’s experience by removing environmental sounds. They can deliver a noise reduction level of up to 95%, making even the loudest environments seem almost silent. The Tri-Level cancellation offers users the ability to choose between 3 noise cancelling modes to customize the headphones’ performance in different scenarios, such as airplane, office and study. The ANC9 are equipped with 40mm drivers which render clear, high-fidelity audio and react quickly to transient responses. For full noise cancelling functionality, the headphones require batteries, but the normal playback abilities are independent and will not be impacted by the lack of batteries. The headphones include an in-line microphone with an omnidirectional pickup pattern which can easily pick up the user’s voice and render it very clearly for the other party of a voice call to hear. The QuietPoint are very comfortable to wear, featuring adjustable and padded earcups and headband. They can also be folded flat for easy transportation and storage, making them ideal for use when travelling. 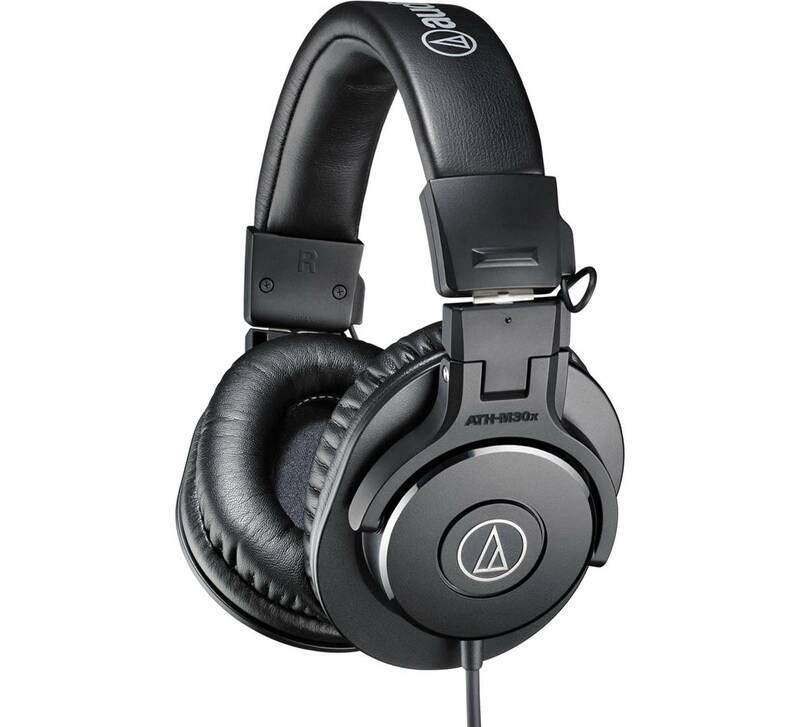 The Audio-Technica ATH-WS1100iS are a pair of well-designed, high quality headphones which have an emphasis on rendering powerful low-end frequencies. They feature large, 53 mm Deep Motion High Resolution audio drivers, built using powerful magnetic circuits, delivering high-fidelity audio with a pronounced deep bass. These headphones can produce extended frequencies, ranging from 5 Hz in the low end, up to 40,000 Hz in the high end. In order to control the powerful low frequencies, they are equipped with as bass venting system which optimizes air frequency damping, and also feature an aluminium centrepiece and aluminium stabilizing ring which reduce unwanted vibrations. The dual-layered earpads provide increased sound isolation for reducing as much spill as possible from the headphone’s output. 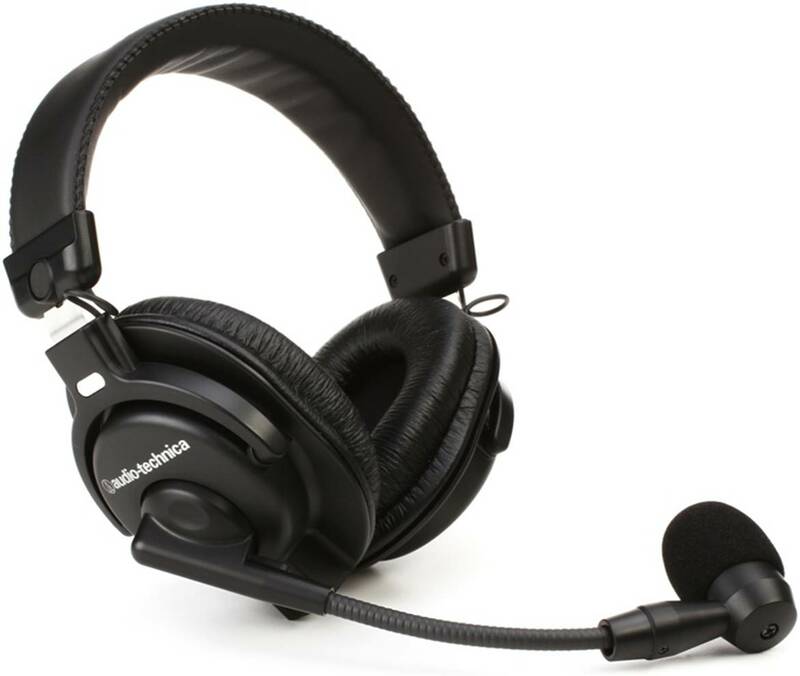 The WS1100iS have a detachable 1.2 metre cable which is equipped with an inline microphone and controller, enabling users to answer calls and control media without having to be inconvenienced. The headphones are comfortable to wear as they have padded and adjustable earcups and headband, allowing the user to have long listening sessions without suffering from any kind of discomfort. The Audio-Technica BPHS1 Broadcast Stereo Headset produces high sound quality and provides a comfortable listening experience. They feature a dynamic microphone with a cardioid polar pattern designed to pick up the voice very clearly. 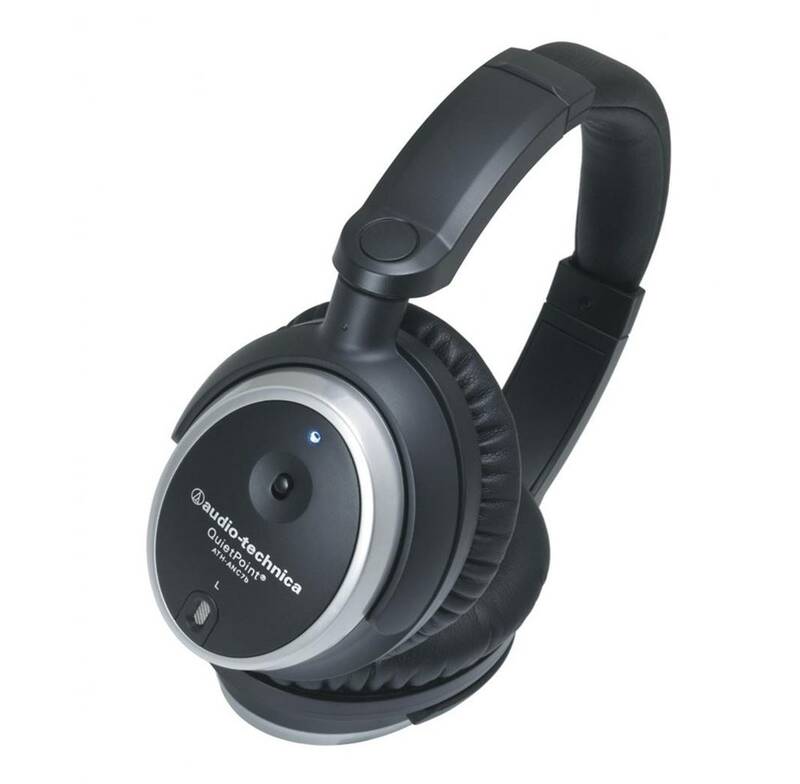 They are suitable for listening to music, attending conference calls or playing videos games. The headphones have a closed back design which helps block out environmental noise and allows the user to focus on the audio provided by the headphones. They are equipped with drivers containing neodymium magnets, creating a high level signal and a detailed sound reproduction. The drivers react quickly to transients creating a high fidelity rendition of the sound. Furthermore, these headphones have a good frequency response across the whole spectrum creating a well-balanced and transparent sound. The BPSH1 have been designed to be comfortable, featuring padded and adjustable earcups and an embracing headband. They can be worn for long periods of time without feeling discomfort from the headphones. The headphones have a robust cable which provides a secure connection. The dynamic microphone can be adjusted in any position because of the flexible arm which is connected to the right earcup. Overall, the BPHS1 are some of the best Audio-Technica headphones for broadcast stereo performance and comes with a boom-mounted microphone for clear speech pickup.